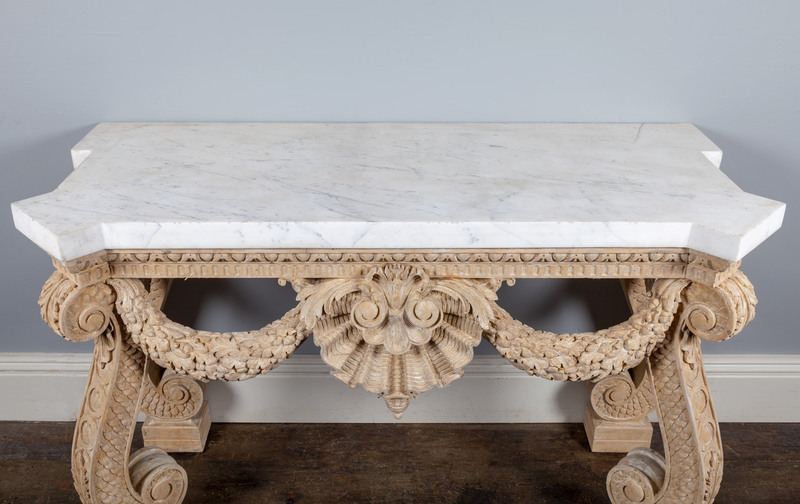 Each table has a solid Carrara marble top, with a white back-ground colour and striking dark grey veins. 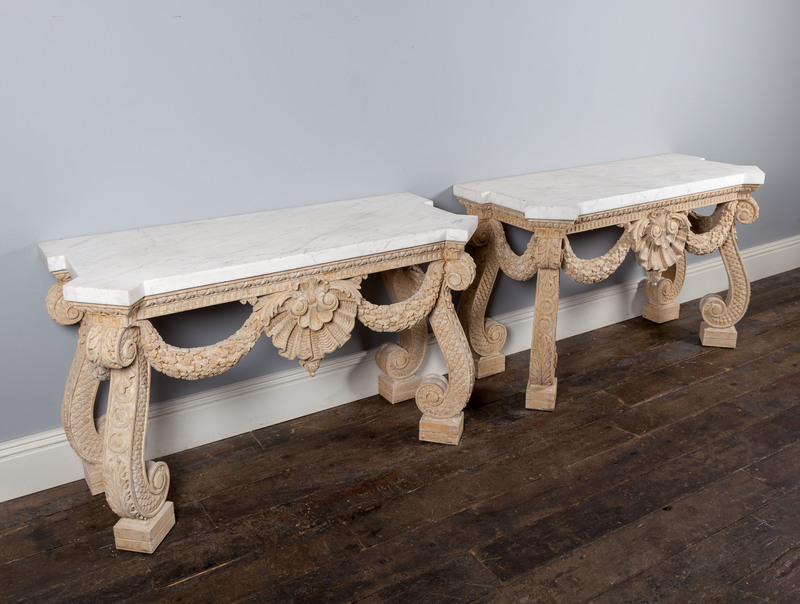 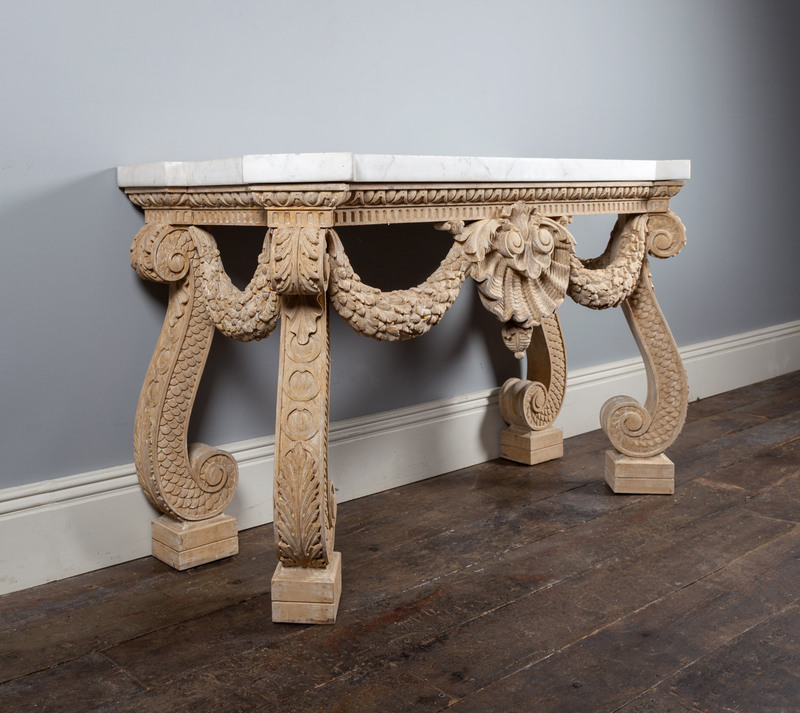 The top features re-entrant corners, over elaborate and boldly carved S shaped legs, these are carved with acanthus, guilloche and fish scale patterns. 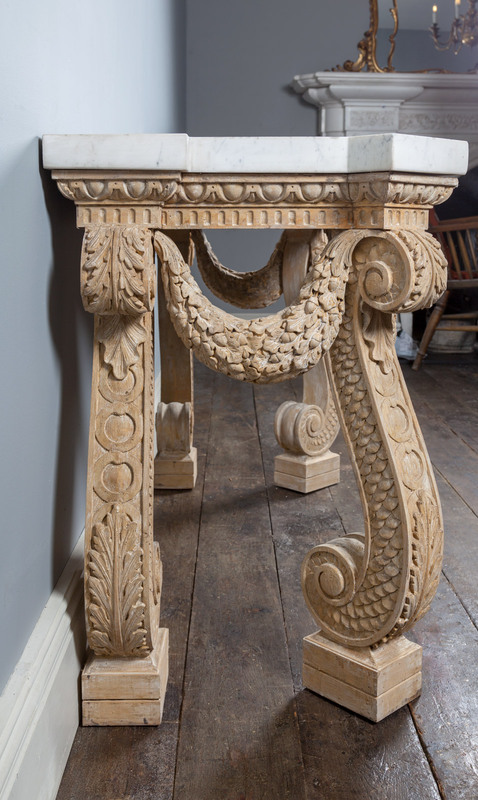 A large scallop shell with swags of oak leafs and acorns forms the dramatic frieze, which continues down each side. 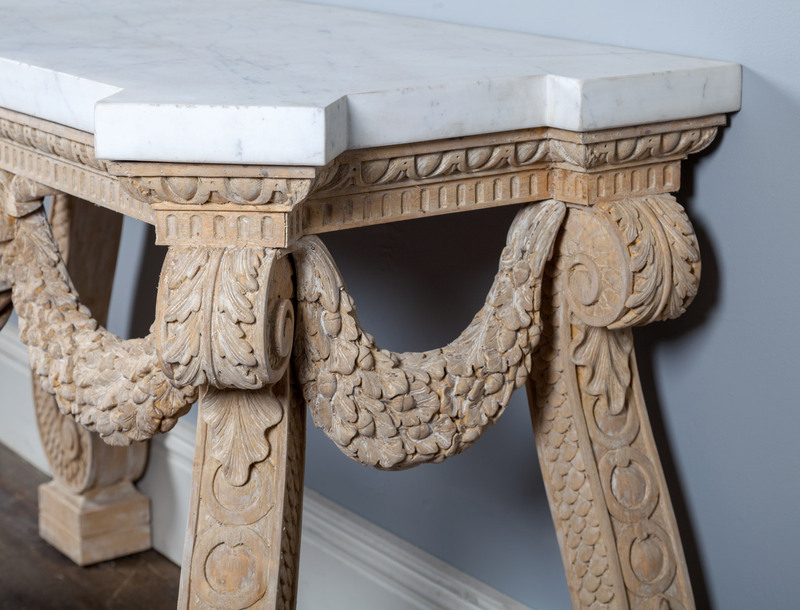 When new these tables would have been painted a stone colour, most of the original paint has either faded off or been stripped, producing a wonderful aged finish. 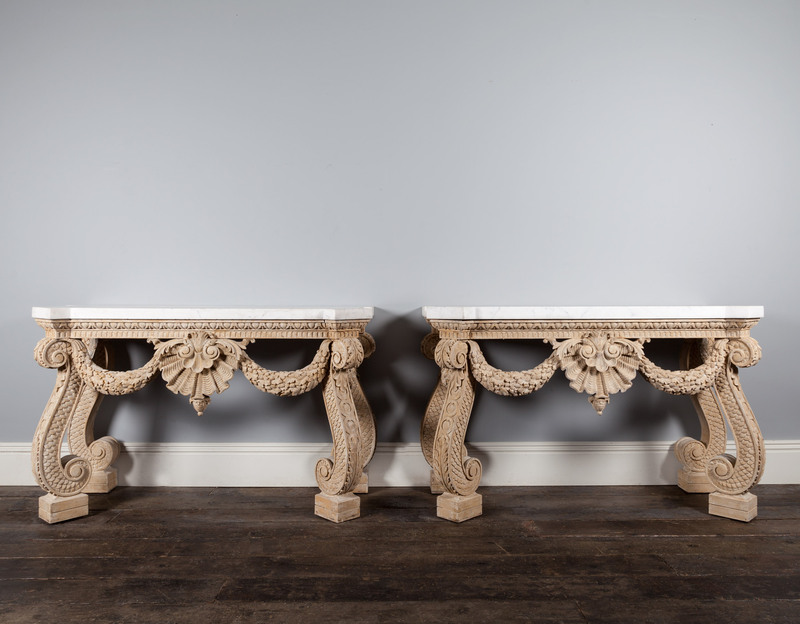 If preferred the tables can be repainted.